So Ann Widdecombe think that Strictly Come Dancing is an entertainment show and not a dance show. She says if it was a dance show it would be on BBC Sports. It’s entertainment because of the people like her in it. But I say it is a dance show which provides entertainment as the audience watches the celebrities learn how to dance. The reason the likes of Ann Widdecombe and Paul Daniels are in the show is to allow them to be kicked out early whilst giving the other celebrities a chance to actually pick up some useful skills. However, I will agree with her on one point. The audience is liking her antics and are voting to keep her in so it is democracy in action. Though the reason she is being kept in is so that the audience can laugh at her. But since she knows that and is happy with that then all you can say about her is that she just wants publicity, any publicity, now that she is no longer a politician able to command publicity whenever she wants. As is mentioned many times on Strictly Takes 2, it’s the journey that is the important thing with all participants. Controversial idea this. How about we ship a whole load of people out of England across the sea to Ireland? Ireland has had a housing collapse. Loads of estates full of empty houses. England doesn’t have enough houses and loads of people who don’t do any work. So why don’t we ask politely of all the people put up in cheap crap houses if they would like to move to a brand new house. 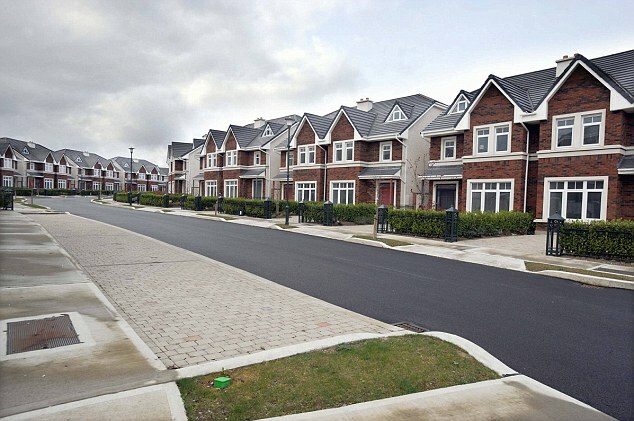 And rather than the government giving Ireland £7bn what it should do is buy all these empty and now cheap houses. Money flows into Ireland. English people get brand new houses. The UK government’s capital base will increase after the end of the recession and they can sell the houses for a profit. Everyone wins. Well maybe not Ireland totally as they would get the dredges of English society. But then see how Australia changed from being populated by convicts to being a major succesful country. Would Ireland change from a sparesly populated country to one heaving with a multicultural society? Outside broadcasts by reporters. What’s the point? A waste of money in many cases. Basically they duplicate what is in the studio already used by the newsreader and put it in a location in the middle of nowhere. Sometime the OB is useful. There could be a situation and the reporter on the ground can speak directly with police or other authorities to get immediate information. But this is very rare as in most case the information is sent up the chain in the police (or other organsiation) and then deciminated by the PR department. This is then received by the news organisation and then then sent back to the man on the ground who then tells the audience. Many times the pointlessness of the OB is obvious, especially when the reporter is standing outside an empty office block in the dark, cold and wet spouting out about the news that was news at the start of the day but not at 10 at night. BBC Breakfast had this story about volunteers manning speed traps and how it’s a Big Society topic. They use handheld speed cameras and note the details of any speeding motorists and pass on the details to the police. Mention was made that a number of drivers had been fined or arrested for various driving offences. But if they aren’t police, then the evidence they collect is invalid in court. So what’s the point in having them as cheap PCSOs if they don’t do anything, except maybe act as a bit of a deterrent. And it’s not a Big Society issue either. Upholding the law should always be done by the police. See BigBrotherWatch for their take on it. I’ve just found out via Nik Lowe the Filthy Engineer that part of the constitutional stipulates that congressmen for the Brazilian congress have to be literate. Sounds pretty sensible I thought. But then I got to thinking about it a bit more. Could it be a disability? Those with disabilities can get help to cope with getting through the day. If you are physically disabled you can get carers to get you of bed and feed you. If you are mentally disabled you can get help to cope with the demands of modern life. If you are visually disabled you can get a dog to guide you around. So if being illiterate is a disability you could in theory get a helper to do the reading and writing for you. In the case of the Brazilian he would be able to get an assistant to do his reading and writing for him. In these days of everyone coming up with new disabilities (or overemphasizing existing disabilities such as dyslexia) so that they can get extra attention, campaigning for illiteracy as a disability should be the next in thing.